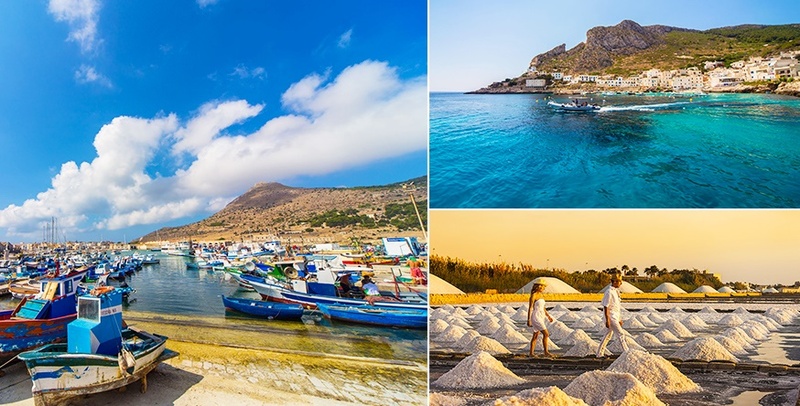 The province of Trapani covers Sicily's north-eastern part, facing the Tyrrhenian Sea to the north, the Mediterranean to the west and the Strait of Sicily to the south. It includes the Egadi Islands and Pantelleria, protected as marine and natural reserves. Along its coastline are the gulfs of Castellammare, Cofano and Bonagia and the ports of Trapani, Mazara del Vallo and Marsala. The Natural Reserve Isole dello Stagnone, north of Marsala, is Sicily's largest lagoon, containing within it a small archipelago formed by Isola Grande, Mothia, S. Maria and the rock of Schola. Located along the migratory routes to Africa, the lagoon is a rest area for numerous bird species, including ducks, herons, egrets, cormorants, spoonbills, black-winged stilts and mallards. The islet of Mothia is of great historical interest, housing the remains of an important Phoenician trading post, with the remains of a few fortifications, a sanctuary and the area consecrated to sacrifices. The Natural Reserve of Saline di Trapani e Paceco, near the capital, enjoys a unique landscape of salt pans and it is also a staging area for migratory birds. The Zingaro Natural Reserve along the coast between Castellammare del Golfo and San Vito Lo Capo is one of Sicily last wild and pristine areas, considered a true paradise for hikers. Other protected reserves are those of Mount Cofano, Bosco di Alcamo, Foce del Belice, Cape Feto, Lago Preola and Santa Ninfa. Because of its strategic location at the center of the Mediterranean, this part of Sicily has been inhabited since ancient times, as proven by the numerous archaeological sites. Grotta del Genovese (Cave of the Genoese) in Levanzo contains Paleolithic rock drawings of great historical and artistic value. The amazing site of Segesta, offers the remains of a temple and a theater. 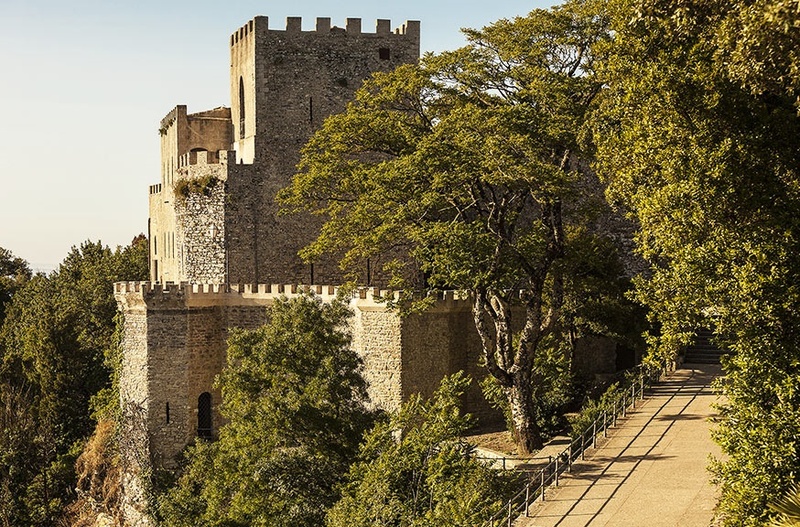 The Selinunte Archaeological Park, where once eight temples stood, is considered one of the Mediterranean's most magnificent sites, built with stones carried from the nearby Cave di Cusa dating back to the 6th century B.C., when Erice's defensive walls were also built. Fish cuscusu (couscous), a dish of Arabic origin, is among the most renowned specialties of Trapani's rich gastronomy, along with ''vastedda del Belice'' cheese and black bread of Castelvetrano. Thanks to the ancient tuna fishing tradition, blue fin tuna is one of Trapani's cuisine main ingredient. ''Cassatelle'', ''mustazzoli'', marzipan fruits, almond paste and the traditional ''cassata'' made with sponge cake and ricotta cream, are the most popular desserts.